Manifesting itself in names, numbers, words, objects, symbols and events, synchronicity is essentially the occurrence of a meaningful (or even miraculous) coincidence in your life. This experience seems far too significant to be a mere day-to-day serendipitous encounter. Most of us have experienced various synchronicities in our lives before, and if you have ever been curious to learn more about them, read on! Hindu’s believe synchronicity is a manifestation of Brahman, or the fundamental connection of all living things within the universe, quantum physicists attribute it to the “non-local” mind (or universal consciousness), and skeptics call it Apophenia, or the practice of seeing connections and patterns in random and/or meaningless data. Just remember that meaning comes only from within. Therefore, the only person who can understand why a synchronious experience occurs and what it means is you. Unconscious mind. Just like your dreams, elements of your waking life could also be subtle manifestations of your unconscious mind which is trying to warn you, guide you or teach you about something. Harmony of energy. As everything consists of tiny vibrating atoms, or energy (which is a fact), synchronicity could also be a manifestation of inter-global or environmental harmony, where the frequencies and vibrations of the moment sync together in perfect equilibrium, or Oneness, producing such experiences. Law of attraction. This theory essentially states that whatever good or bad events in life happen are caused by your thoughts and feelings. Thus “like attracts like”, which possibly explains the origins of synchronicity. Psychic abilities. Synchronicity is also thought to be a small manifestation of psychic abilities where, for example, we intuit that a certain person will call us or significant event will befall us, and it does. A few years ago I was in a local shopping center looking at baby animals for sale in a pet store window. This particular time of my life was tumultuous, both emotionally and spiritually, and I was beginning to seriously question the validity of all that I had been taught as a child who was brought up in a strict, fundamentalist religion. Staring absent-mindedly at the animals, I began to think about my troubles, and the version of truth that had been presented to me. Suddenly, out of the blue, a complete stranger walked up to me, introduced himself, and said that for some reason he was drawn to me. This eccentric man began to talk about truth and what he felt it was, to my absolute astonishment! I believe this short and unexpected conversation I had with this man helped guide me towards the path I’m on today. If that wasn’t full blown synchronicity, I’m not sure what is! Have you ever thought that perhaps the synchronicity you experience in your life is a message in disguise? Whether you are a skeptic or not, I encourage you to take action like I did, and see where you are led. Awareness. Practice alertness and pay attention to the present moment. Openness. Maintain an open-minded outlook towards synchronicity. This will enhance your receptibility towards such experience. Humility. Sometimes what you desire or think is best for yourself is not. Learn to have a very loose hold on your desires. In this way you won’t be imposing yourself on life, but you will allow life to impose itself on you. Trust. Trust that synchronicity will appear in your life, and trust the still, small voice within to follow it when the time or situation feels right. When you learn to trust yourself, you also learn to trust life. Listen. 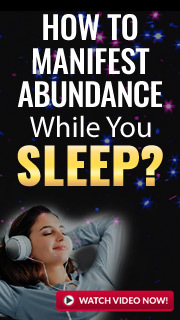 Listen to what your gut is telling you ““ your unconscious mind is vast and limitless. Doors are being opened for us all the time, and when we listen to our instincts many of these doors freely present themselves to us. Synchronicity. It’s one of those mysterious and beautiful occurrences that spontaneously happen in life. Please share with me your own thoughts and experiences with synchronicity!